I heard this playing during a wander around on a blue sky day with the sun shining in Harajuku outside Beams Records and I was drawn into the shop and I stood there drinking up the music not really looking at any of the CDs just kind of pretend-browsing. To hear it outside a siren song with its bells and chimes blown about by the early afternoon breeze and to be drenched in its subby sound inside the shop... it's a tasty treat for the ears, a cyclical journey of a track, walking a circuit trail through a sun-dappled grove. It is 'Oriental Suite' and it is by Anchorsong (named after Björk's 'The Anchor Song'? maybe), a musicmaker whose real name is Masaaki Yoshida, a Tokyo person now living in London. Reading up about it now, Beams Records were playing his music because they had an advance sale of the album Ceremonial, and I happened to be there a day before the album's release party (28/1), so that's that. The track is built on a shaker-sprinkled shuffling of a beat, in a slowed-down-garage-flavoured rhythm but wooden and organic, like it is made of felled logs and fistfuls of earth and tangled wires of ivy – you also get this feeling with the clop-clopping marimba sounds hollow and rustic later on in the song. Samples drop in and out of the track, vocal snippets of cut-up conversation and longer drawn-out singing voices like chanting. It begins thin and almost minimalist, mystical reverbing chimes giving you a hint of what lies ahead, it ending up a bustling whirl of delicious percussion and vocal samples, that shaking beat with hi-hats zinging to help the frenzy of sounds along, underpinned with rumbling undulating sub-bass that makes the shuffling groove robust and... so like moss-covered walls constant under the wash of pines and murmur of people and animals; do you not feel teleported elsewhere? 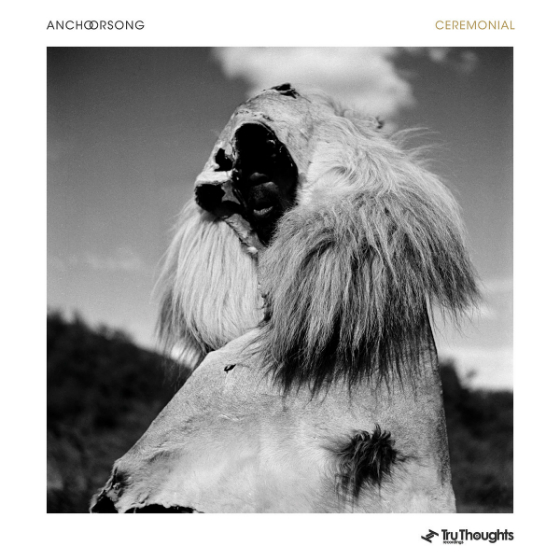 'Oriental Suite' is a track on Anchorsong's latest album Ceremonial, which was released last month.